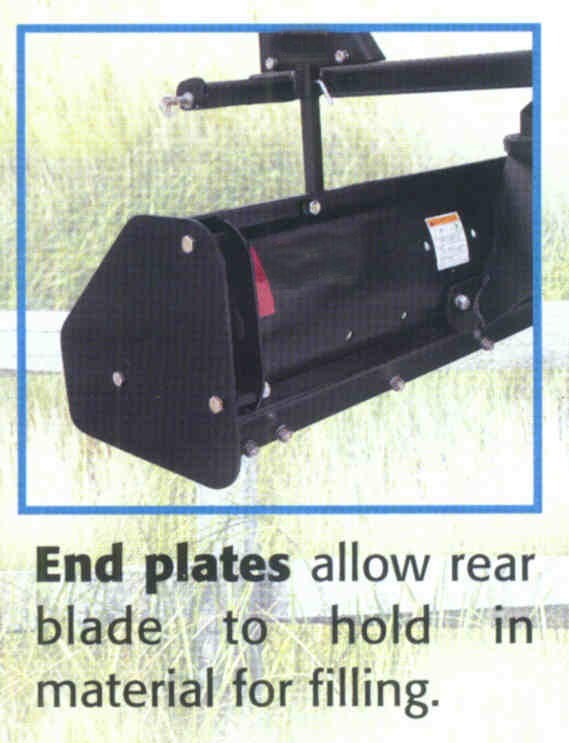 Our Regular Duty Series Rear Tractor Blades come in several two series F and T. F series blades are designed for tractors up through 45 hp, and T series is designed for tractors up through 65 hp. Widths are available from 5 ft. to 7 ft. depending upon the series. 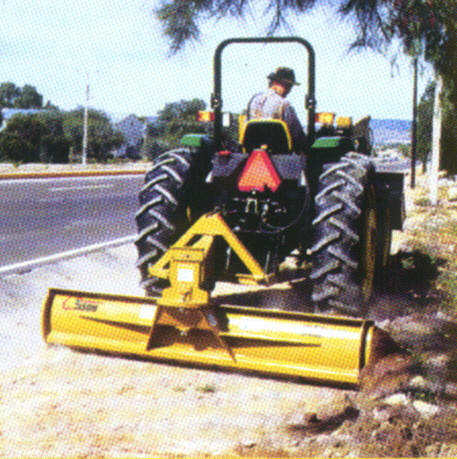 The F series is especially good for light road maintenance, lawn care, gardening, and other light duty landscaping applications. 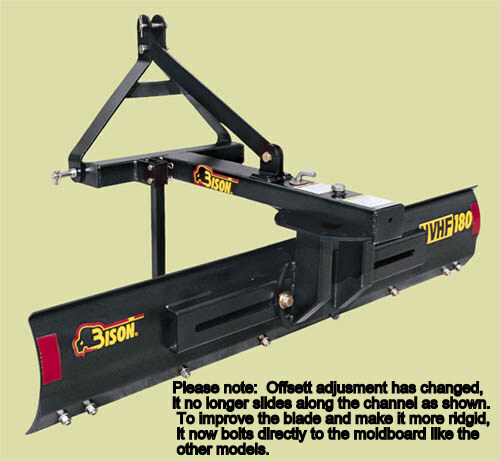 The blades can be used year around for leveling ground, roadside clearing, and snow removal. 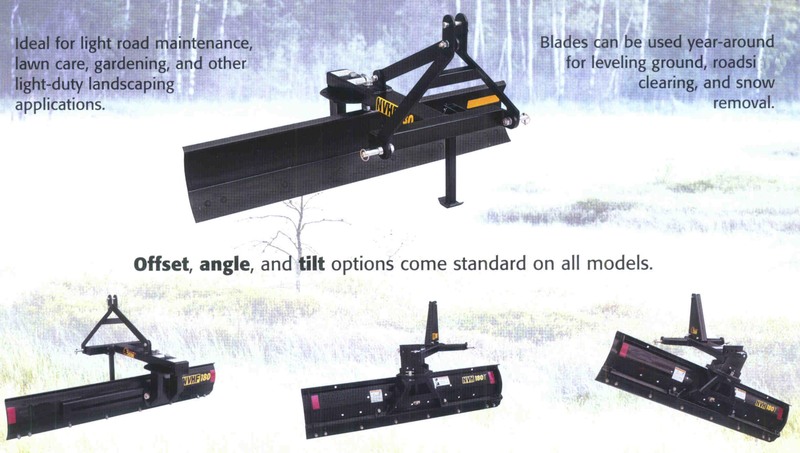 The F series blades have manual offset, angle, and tilt, and are available in 5 ft. and 6 ft. widths. 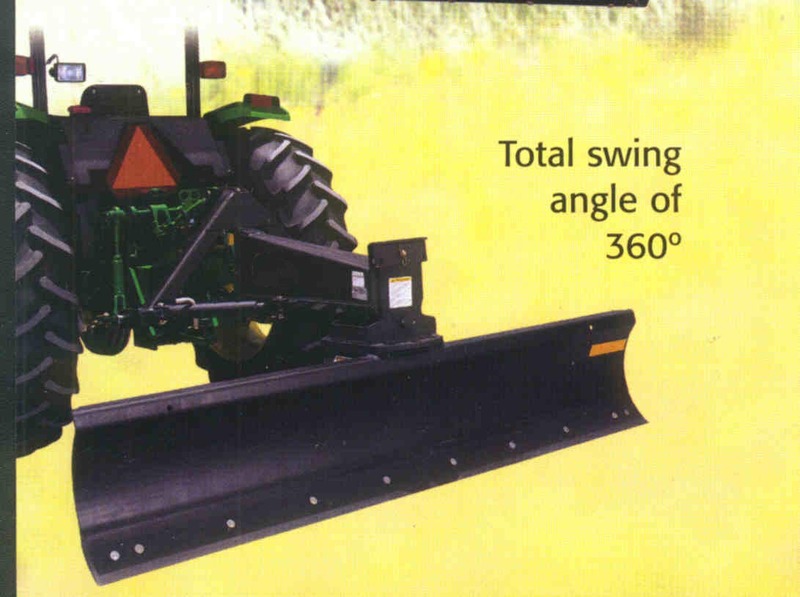 The T series blades are made for the same type applications, landscaping work, but are made heavier as they are designed to be used on tractors up through 65 hp. 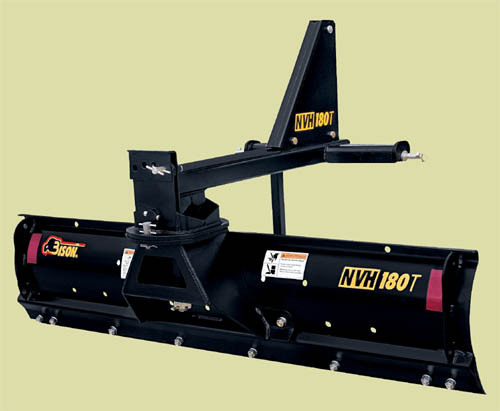 The NVHA Series Rear Mounted Tractor Blades are ideal for light road maintenance, lawn care, gardening and other light-duty landscaping applications. 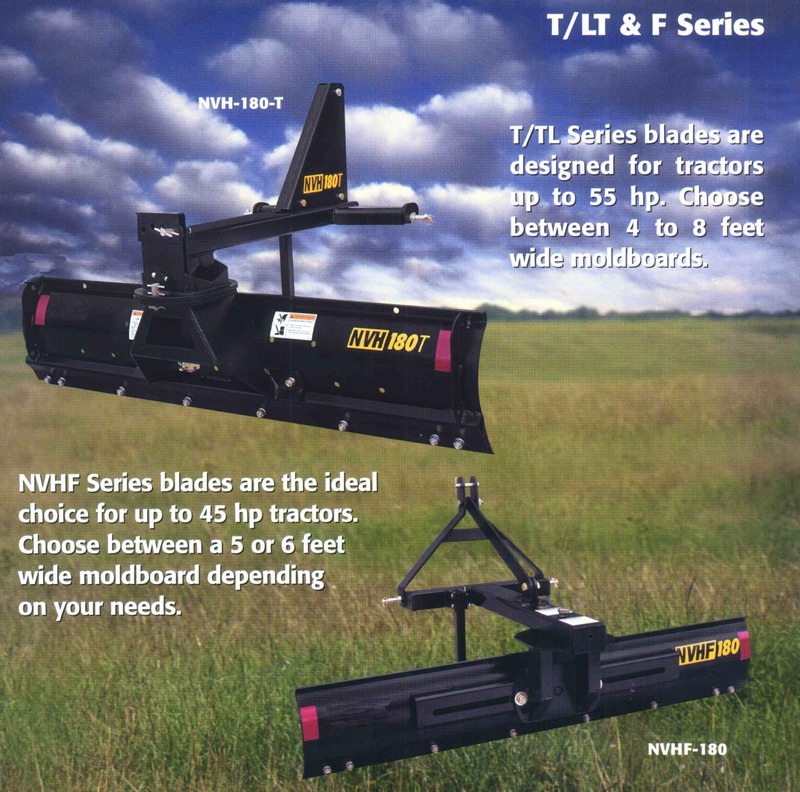 The NVHA Series Blades are designed for tractors up through 65 hp. 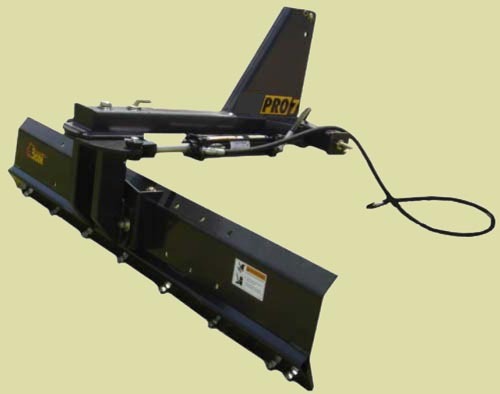 These blades can be used year-around for leveling ground, roadside clearing, and snow removal. 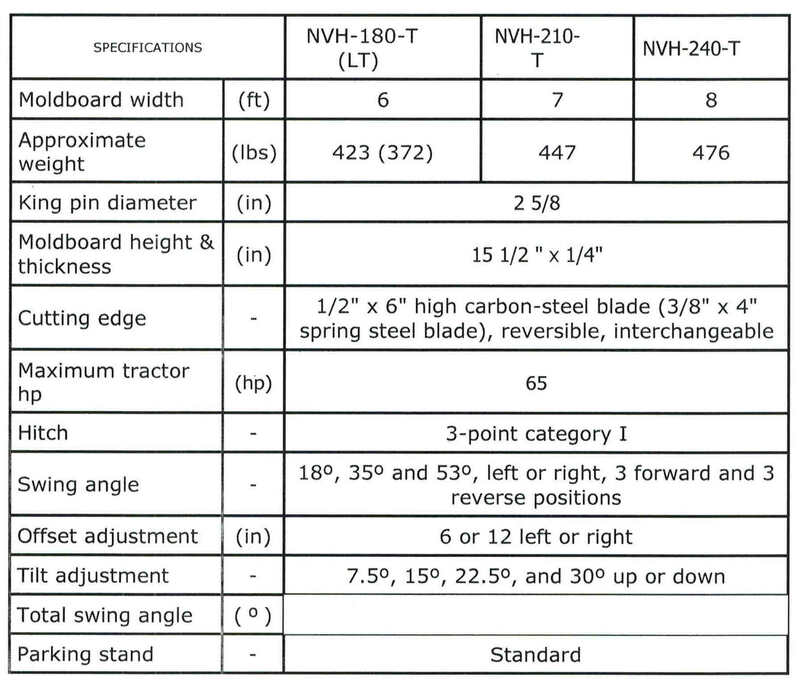 The NVHA Series Blades come with offset, angle, and tilt functions standard on all models. 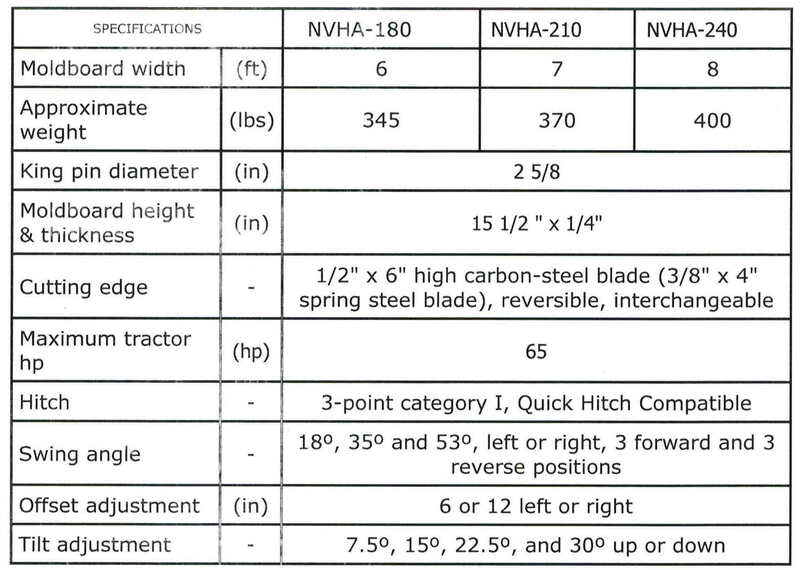 Also available are the NVH Series Tractor Blades are the next size up in width and quality, and are available in widths of 7 ft., 8 ft., and 9 ft.. 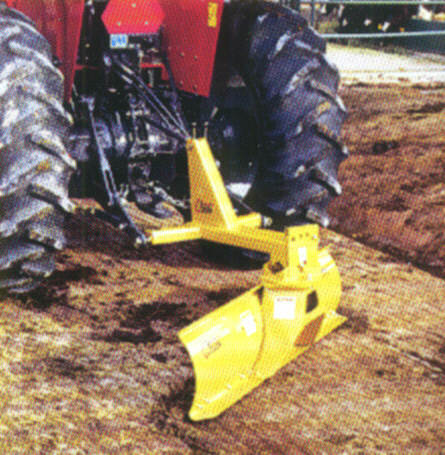 The 7 ft. model is recommended for tractors up through 65 hp., and the 8 and 9 ft. models are recommended for tractors up through 80 hp.. The models all come standard with manual angle, offset, and tilt. A cylinder kit is available as an option to convert the unit from manual offset control to hydraulic offset control. 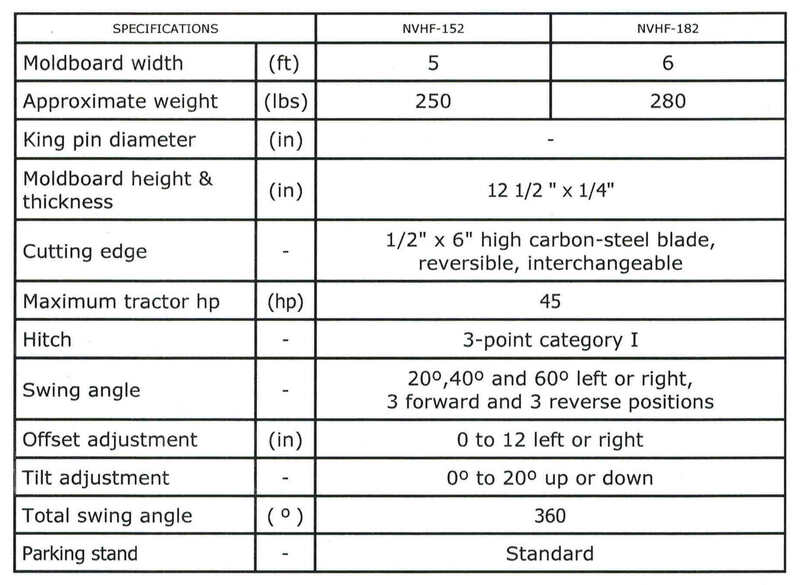 The angle and tilt functions would still operate manually on the NVH series. 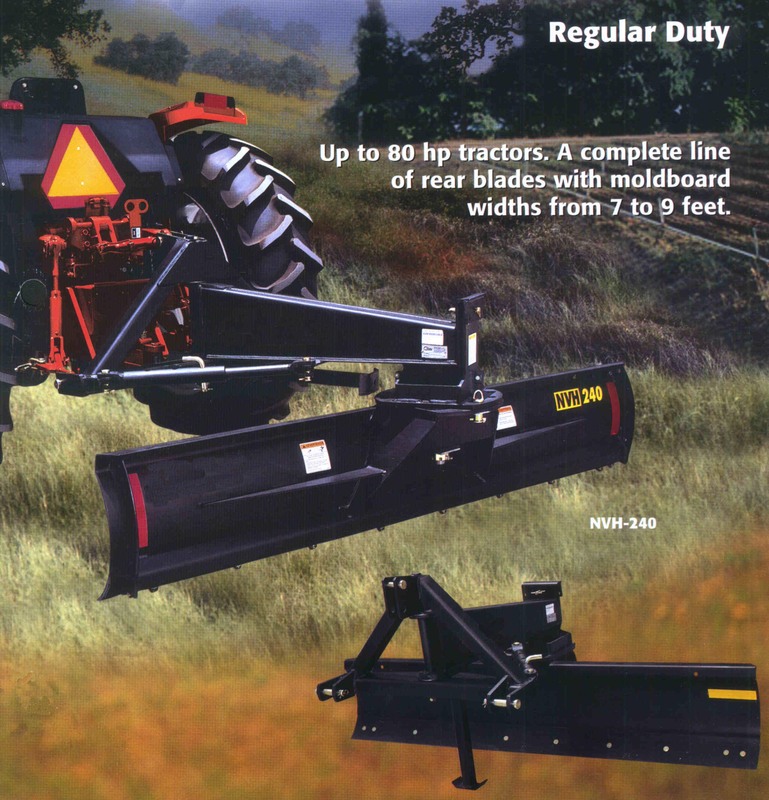 Regular duty series blades are available in moldboard widths of 5 ft., 6 ft., 7 ft., 8 ft., 9 ft., and 10 ft. 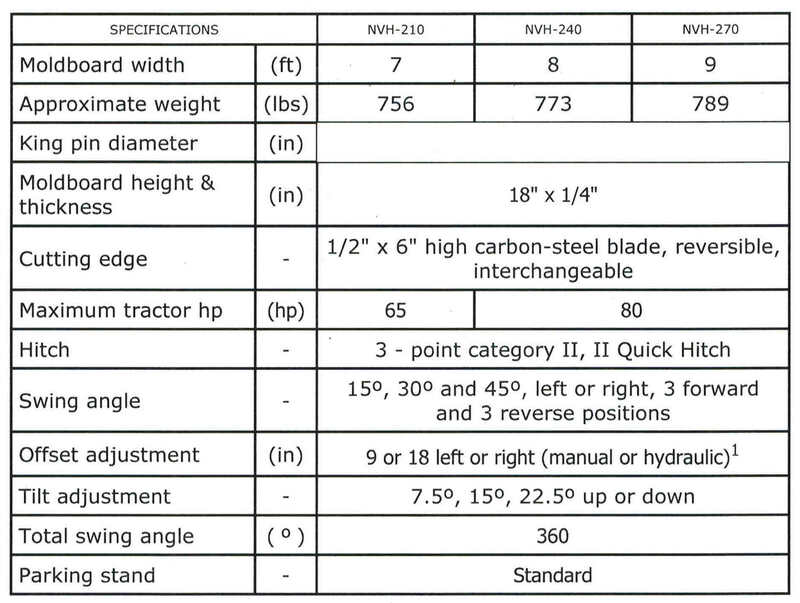 If ordering with a new blade, order in the drop down menu on the blade order page. If ordering separately, then click the order form button below.